What Does $500 USD Per Month Get You In The Bangkok Property Market? Bangkok can serve up a genuine bargain rental property if you know where to look. We take a look at what $500 (USD) per month can get you in terms of rental accommodation. Paying $500 a month a rent in cities such as London, Singapore and Hong Kong is unlikely to get you very much in the way of spacious accommodation. In fact, you would be lucky to get a small room in a house that you share with several other people for that budget in these locations. When you apply the same figure to rental accommodation in Bangkok, and run a property search, it is clear that there are more than a few differences. Homes in Bangkok are a lot cheaper than in many parts of the western world and most other capital cities in Asia. Some very nice condominiums (apartments) can be rented for less than $500 in the city. When you consider the infrastructure that Bangkok provides, it represents an excellent deal. 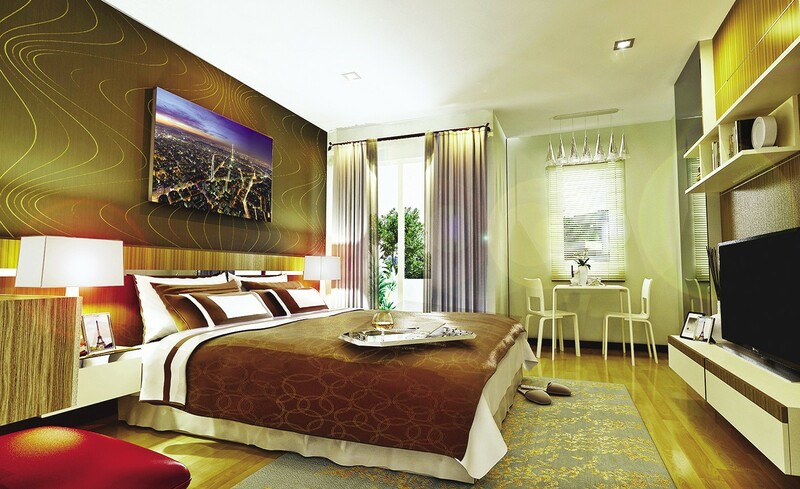 •A modern studio apartment (Approximately 30 square metres) in the centre of Bangkok, in a district such as Sukhumvit. •A modern one bedroom condo (Approximately 40 square metres) within about 3/4 BTS / MRT stops from the centre of Bangkok. •A modern two bedroom condo with a bath (Approximately 65 square metres) within about 4/6 train stops from the centre of Bangkok. If you’re lucky, and have time on your side, you may even be able to snap up a two bed home close to the city centre for $500. You will usually have to pay for electricity, water, and your internet, and any other costs that may come your way. As a guide, electricity with daily air conditioning use is between 2,000-4000thb per month. Water usually just 150-200thb per month and internet broadband around 750thb, with some excellent speeds and add on phone / TV packages available. If you wish to share a two-bed home with someone, you can usually halve the costs above. Some types of accommodation will actually include a part-time maid within the price. There are some landlords insist that you have a maid and pay for them yourself, so factor that in if that’s the case. The good news is that the services the maid provides are usually very affordable, and they will help to keep the property clean and save you the job. Renting a home in Bangkok is easy if you know your way around, or when you enlist the help of an experienced real estate agent in Bangkok. They will be armed with local knowledge, be able to show you around various apartments and explain the finer details of rental contracts. Sometimes furniture is included with condo rental at $500 or less, and sometimes not. Always check with the real estate agent or the landlord directly. Renting a property in Bangkok can open up some incredible opportunities. Perhaps you have a job here and are looking to work. Maybe you want to retire here. Whatever the reason for wanting to live here, the location of Bangkok and the facilities / infrastructure make it a fantastic place to reside.